The short answer is - yes (that’s it - you can stop reading now). 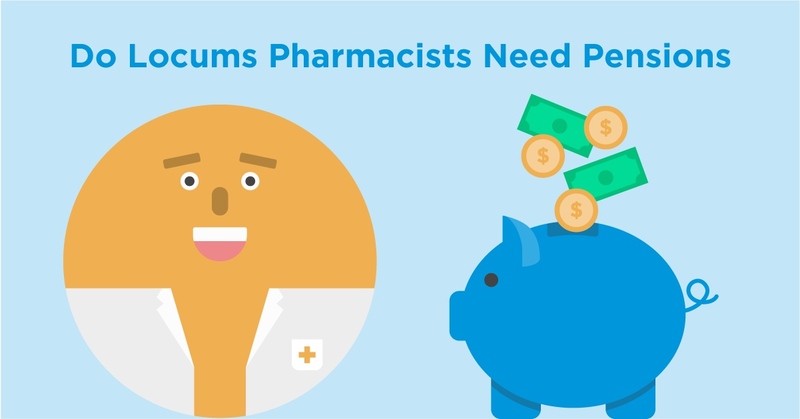 The long answer is that locum pharmacists need pensions just as everyone needs a pension. The point of a pension is to have funds available to you when you retire and stop receiving an income through working. These funds replace that income. Self-employment can affect how you save for the future. Irregular monthly income may hamper your ability to make regular monthly contributions into a pension. Plus you won’t benefit from an employer’s contribution boosting your pension fund. But preparing for retirement stills remains vital for the self-employed. You will likely qualify for a state pension as these are based on your overall NI contributions during your working life. However, the state pension seems to continually decrease in relative value whilst the retirement age goes up. So, it is probably prudent to ensure you have made additional financial plans that will bolster any state pension. This is especially true if you want a lifestyle similar to the one you are accustomed to during your working life. Basically, there are two types of pensions: personal pensions and company pensions. Anyone, including the self-employed, can have a personal pension. This is a type of savings or investment plan specifically geared towards long-term savings for retirement. Pensions often offer different investment plans giving you a choice on the risk level of your investments plus options for avoiding investment with unethical companies. Other types of pensions include stakeholder pensions and self-invested personal pensions, both of which involve paying fees. You can get tax relief on your pension savings. For example, a basic-rate taxpayer will get £25 in government contributions for every £100 you pay into your pension. Regardless of which personal pension you choose, everyone gets a £40,000 annual tax allowance on pension savings. This means you can save up to £40,000 each year without paying tax on those savings. It is this tax allowance that makes a pension the best, low-risk option for retirement planning. Company pensions are only available to people in employment. Employer contribution schemes are now compulsory for all businesses in the UK. Both the employee and the company contributes a set amount, usually a percentage of the employee’s salary, into the pension each month. However, if you operate as a limited company you may benefit from significant tax advantages when it comes to your pension (although it’s worth noting that paying directly into a personal pension may still be the most tax-efficient method of saving depending on your circumstances). You can maximise you personal tax relief by ensuring any salary you draw isn’t overshadowed by the size of you dividends. Also, making employer contributions into a company pension reduces the pre-taxed income that your business will have to pay corporation tax on. You can find out more about whether operating as a limited company might be an option for you as a locum by reading our guide to limited companies for locum pharmacists . As with all things financial, you should seek expert advice from a financial advisor before committing to any investment.